Copyright 2018 Show Stoppers Radio Group· All rights reserved.. Powered by Blogger. Get Airplay for Your Music. 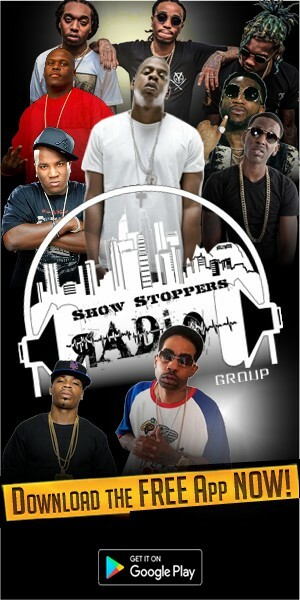 Please submit your music to Show Stoppers Radio for radio play consideration. 1. Make sure you name your mp3 metadata correctly so the artist/song title information displays when it is played. 2. MP3 file size must be smaller than 7megabytes. NO MIX-TAPES ALLOWED! If your file is larger than 7mbs, you will need to reduce the file size and resend it. Choose your best song to send. 3. Use the button below to submit an Explicit or Clean version of your song. 4. Follow us on Facebook, Twitter and Instagram after you've made us your music submission. Once we have received your material, we will contact you to let you know when your music has been added. *By submitting your music, you are giving us permission to play your music and/or use your music in commercial advertisement on Show Stoppers Radio Group. Thank you for choosing Show Stoppers Radio were "If You Drop It, We Rock It".